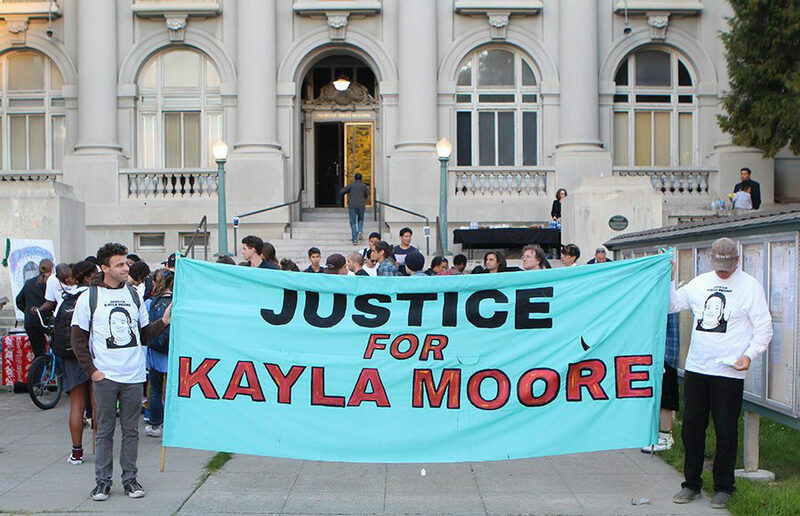 SAN FRANCISCO — On Friday, a judge dismissed the majority of a wrongful death lawsuit against the city of Berkeley alleging police used excessive force against Kayla Moore, who died in Berkeley police custody. Despite the dismissal of the Fourth Amendment violations, such as excessive force or unlawful arrest, the case — filed by Moore’s father Arthur Moore — will go forward in court as the alleged Americans with Disabilities Act violations were upheld. Moore, a Black transgender woman who was 347 pounds and a Berkeley resident diagnosed with schizophrenia, died in February 2013. 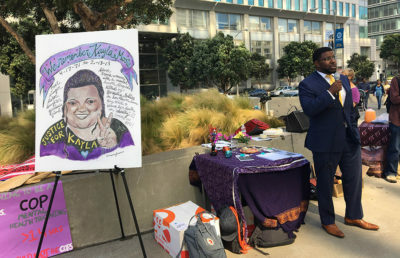 Her death has since sparked community criticism over the Berkeley Police Department’s handling of mental health crises. U.S. District Judge Charles Breyer determined that BPD officers were justified in their use of force against Moore because Moore continued to thrash and kick while being detained. He said in his ruling that officers are allowed to use “physical coercion” during an arrest, especially when a person resists arrest. Breyer had previously rejected the city’s request for dismissal. Additionally, Breyer determined that even if the officers had violated the Fourth Amendment, they would be protected under qualified immunity, which protects government officials from civil charges as long as their actions do not violate rights that a reasonable person would have known. The Moore family’s attorney Adante Pointer said they are considering appealing the ruling. Because of scheduling confusions at Monday morning’s hearing and miscommunication regarding the release of Friday’s ruling, Breyer decided to give more time to Moore and his attorney to decide how they would like to proceed with the case. About 25 people gathered in front of the San Francisco courthouse Monday to raise awareness for the case and protest the judge’s decision. Among them was Maria Moore, the sister of Kayla Moore, who said she was upset with the judge’s ruling, especially after waiting so long to hear the judge’s decision. UC Berkeley doctoral student Tonika Sealy-Thompson was also among the protesters. She said Moore’s case is important because it draws connections between many social issues, including gender, law enforcement and race. She added that she thinks students should be better educated about local issues. A hearing will be held in 30 days to discuss how Arthur Moore wants to move forward, including whether to pursue an appeal of Breyer’s decision. Pressly Pratt is the lead crime and courts reporter. Contact her at [email protected] and follow her on Twitter at @presslypratt.